Mersive invites you to join us for Integrated Systems Europe (ISE) in Amsterdam, February 6-9. Come by the Mersive booth N130 in hall 14 to see firsthand our latest product developments (like room scheduling) and an early look at our workplace analytics engine, Kepler, scheduled for launch later in 2018. Register for FREE and schedule your Mersive booth tour. Those headed to ISE can use Mersive registration code 389332 to register for free on us and schedule a time to come by the Mersive booth. Daily Demos and Giveaways. Join us for live Solstice demos from Mersive Founder and CTO Christopher Jaynes, PhD, at 11:00 and 15:00 daily, and enter to win a Solstice Pod at each session! Mersive Partner Resources for ISE. We invite our EMEA partners to contact us for additional resources and information about our ISE partner programs. Mersive will make more details available in January. In the meantime, check out our ISE webpage, and keep an eye out for our ISE communications after the holidays. 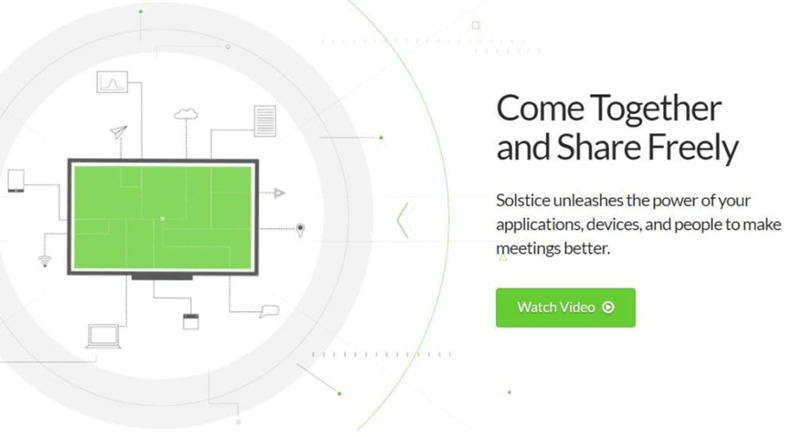 Solstice transforms collaboration by putting content at the center of the meeting experience. The new 3.1 version adds some great new features and capabilities including a new look and feel, room scheduling, and new integration options. Check out the video below for an overview of Solstice 3.1. Want to try Solstice risk free? Mersive offers free 30-day Solstice Pod demos and Solstice Software trials. Visit www.mersive.com/products/solstice/ to learn more. Mersive recently launched our completely redesigned website, and we invite you to check it out and let us know what you think! The new website expands resources for customers, partners, technology managers, and IT teams and makes it easier to find what you’re looking for based on who you are and what you’re trying to do. The result is a streamlined user experience designed to deliver the information you need quickly.